Today’s Rochester researchers are using the chirped pulse amplification science developed at the Laser Lab in their own research to develop the next generation high-power lasers and to better understand the fundamentals of high-energy-density physics. 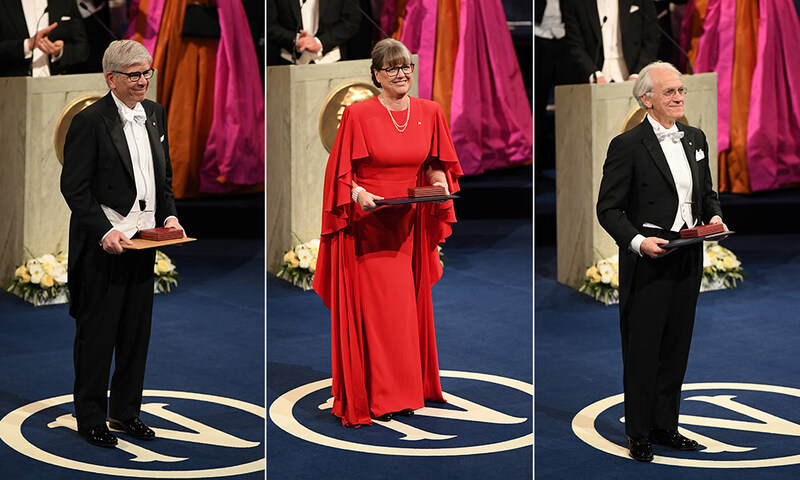 The third woman to receive the Nobel Prize in Physics, after Marie Curie and Maria Goeppert-Mayer, Strickland is the second Canadian woman to receive a Nobel in any field. Writer Alice Munro received the Nobel Prize in Literature in 2013. As Strickland prepares to make history, former and current colleagues in the world of optics, including at Rochester, have offered congratulations. The good wishes have been part of a steady stream of congratulatory messages from Waterloo colleagues and from Canadian officials, including Prime Minister Justin Trudeau. 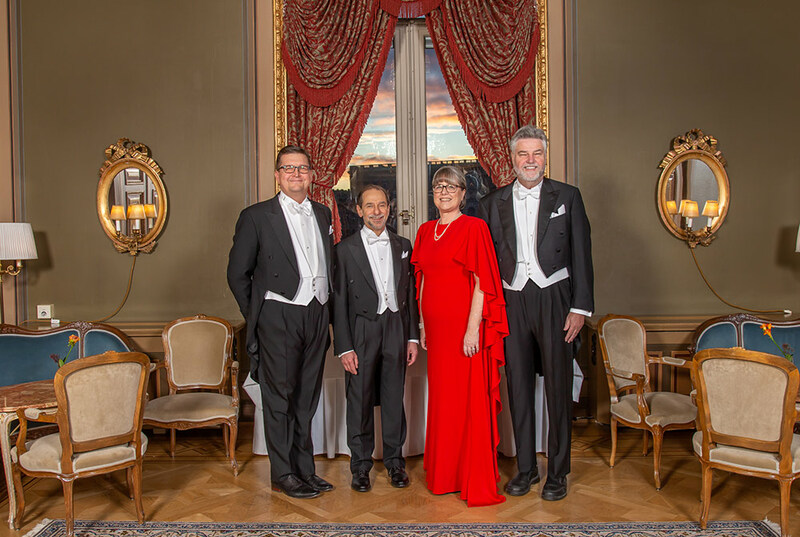 Strickland invited four Rochester guests to join her and colleagues from Waterloo at the award ceremonies in Stockholm. 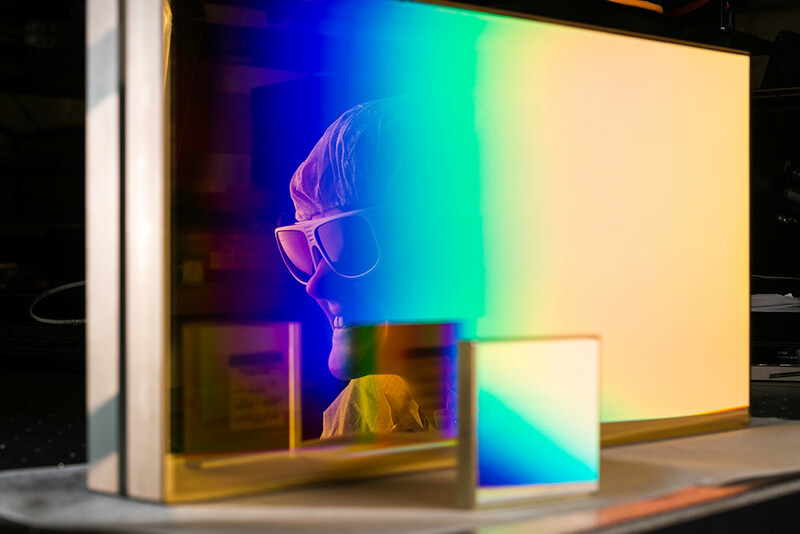 The Rochester invitees include President Richard Feldman; Scott Carney, director of the Institute of Optics; Wayne Knox, professor of optics and former institute director; and Mike Campbell, director of the Laboratory for Laser Energetics. 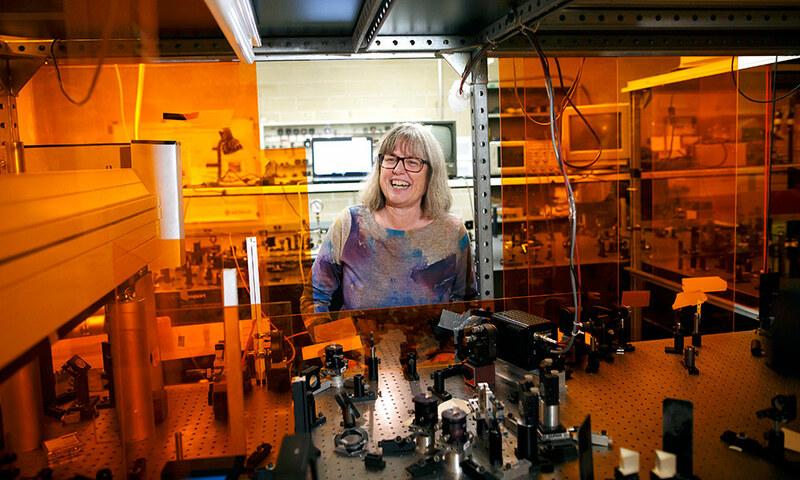 When Strickland entered the University’s graduate program in optics, laser physicists were grappling with a thorny problem: how could they create ultrashort, high-intensity laser pulses that wouldn’t destroy the very material the laser was attempting to explore in the first place? Working with Mourou on her doctoral research, Strickland developed and made workable a method to overcome the barrier. They called it “chirped pulse amplification,” and it has proved to be the foundation of many scientific discoveries and commercial applications. 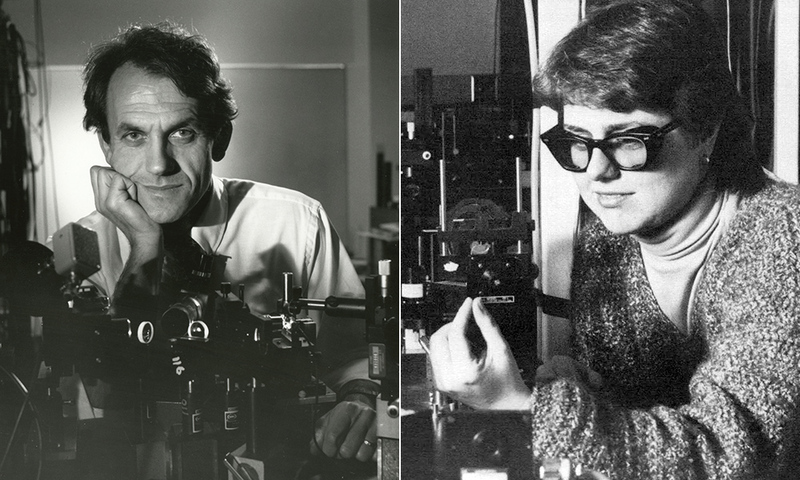 Rochester alumni and faculty have to date received a total of 12 Nobel Prizes, across a range of categories that includes physics, medicine or physiology, and economics. 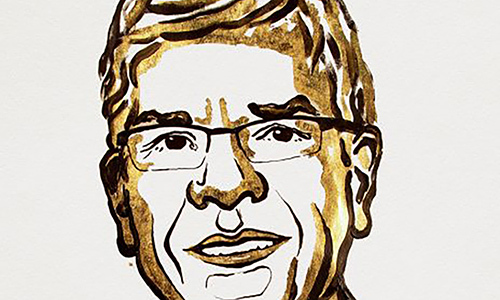 The former assistant professor of economics at the University of Rochester is currently a professor at New York University, and was recognized by the Nobel Committee for his work on the economics of technological change. « What is belief in a secular age?